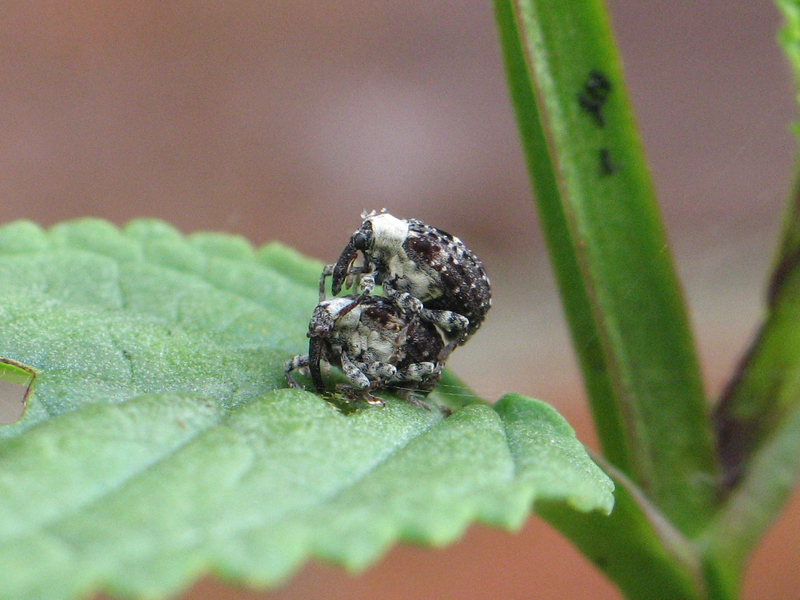 I found this Figwort Weevil, Cionus scrophulariae, individual near a mating pair on Buddleia. 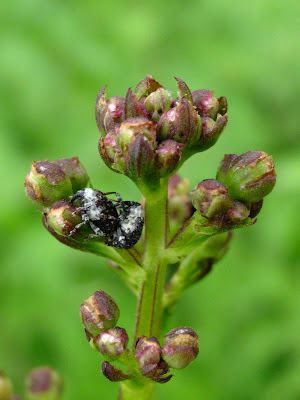 I used to see them on Figwort, but they also feed on Mullein and other plant species, usually near the flower buds or young shoot tips of the plants. 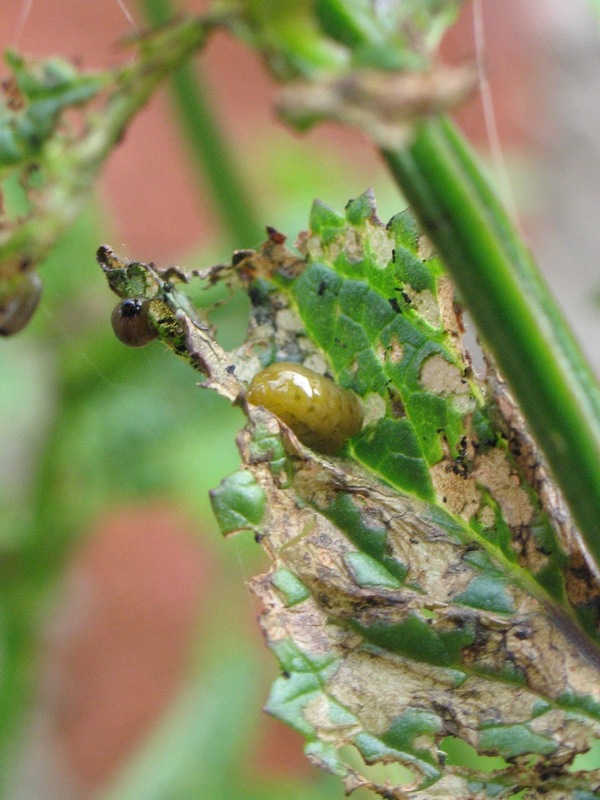 The larvae is unmistakable: it looks like a slimy yellow-green blob with a black head, and is found on the same places that adult frequent. 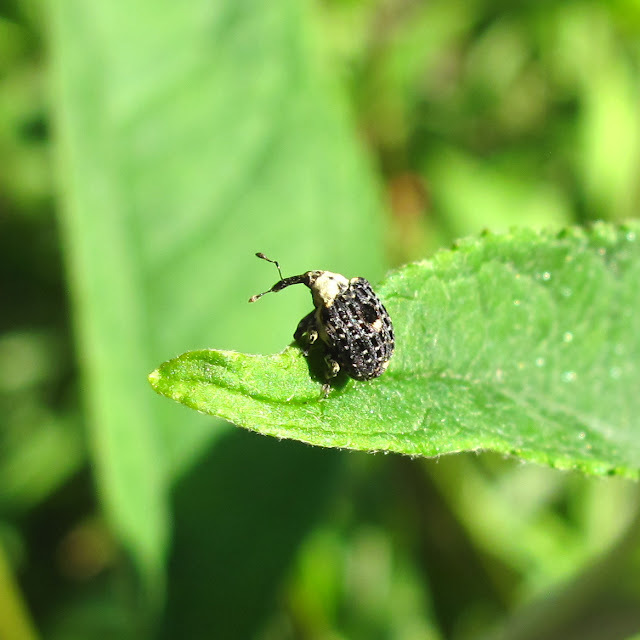 What a great character the little Figwort Weevil is. It reminds me of the 'Clangers' puppet series!